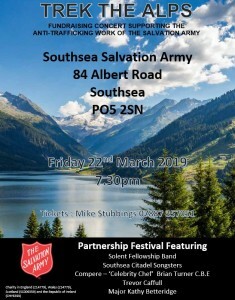 The band are delighted to be able to support member Mike Stubbings in his efforts to raise money to support The Salvation Army's work amongst the trafficked and modern day slaves of the UK. Here in this poster are the details. Please come along and support this great cause and be as generous as you can. Maybe bring another with you?